Chhath Puja is an ancient Hindu festival and celebrated every year with full elation in Northern states of India. The grand Chhath Puja pays reverence to Sun God for sustaining life and energy on earth. In this festival of penance and prayers, people worship the rising sun and setting, symbolic of death and rebirth. Chhath Puja is deemed as the festival of compassion and forgiveness. It is believed that by worshipping the sun during Chhath, worshippers are bestowed with prosperity, progress and well-being. It is also said to cure a variety of diseases, including leprosy, and ensure the longevity and prosperity of family members, friends and elders. Chhath is also known as ‘Suryasasthi’ because it is observed after the six days of Deepawali. It is observed by people for a period of four days. 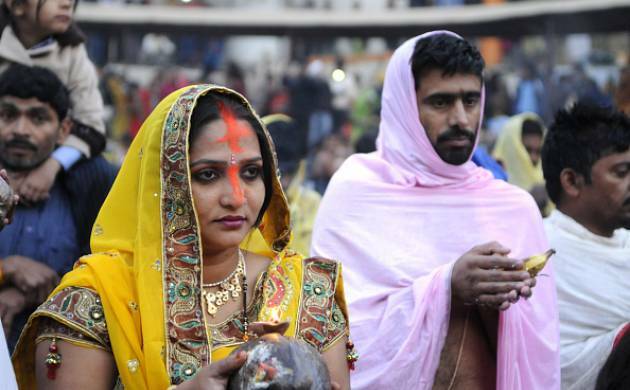 The rituals connected with Chhath Puja include fasting, holy bathing, and abstaining from even having food and drinking water. The mythological connections to this festivity are many. This puja was first done by the Shakya Dwipi Brahmins; this is why it is still celebrated in areas that are dominated by them. In the Rig Veda there is a detailed procedure mentioned on this festival. The rishis would follow this festival very closely. They would worship sun god and stop taking any external food stating that they will get the energy directly from the lord of Sun. They would fast for days and after doing the puja they would break the fast. Slowly it became a major festival for the common man as it is today.